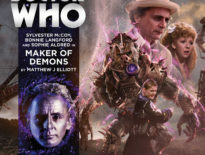 Big Finish usually, and to great effect, indulge in their audio version of Doctor Who running at a longer pace than its ongoing television counterpart. The Doctor’s adventures can range from 2 to 6 parts to their huge variety of box sets, telling epic adventures. Sometimes, however, it’s nice to have a break from that format and have some shorter (albeit just as full) trips. Enter The Memory Bank and Other Stories, part of the company’s now regular anthologies of four separate tales of Doctorly derring-do, 25 minutes each featuring a Doctor and friend of choice. This year, it’s the welcome return of the Fifth Doctor (Peter Davison) and Turlough (Mark Strickson), an often overlooked TARDIS team and certainly a welcome return to Big Finish HQ. The feeling can sometimes come across that stories such as these maybe don’t necessarily make the final cut to be longer and so are mixed together to sell as a complete package, but have no fear, dear listener, each self contained half hour included is a full-blown joy – well, mostly anyway. Each story packs a unique punch, that’s fair and true. The lead title, The Memory Bank by Chris Chapman, is an epic scaled down to a short tale; one feels it could have actually just about stretched to two episodes if pushed but maybe that was the point of running it for just one: here we have something unique and quick, whereas any more may well have been overkill. It also serves to upset the whole ‘UNIT dating’ debacle again so listener beware on that front. The second story, The Last Fairy Tale, set in ‘olden days Europe’ is charming enough, with the Doctor getting mistakenly identified as the mysterious Storyteller and ending up in the middle of a hostage negotiation. It’s an amusing short – with the lovely humour we’ve come to expect from Paul Magrs – raising some smiles along the way and juxtaposing the idea of the Doctor as a whole, especially how he’s been painted in the Moffat era as a tale of legend come true. Finally, the short hops end with Ian Potter’s The Becoming. 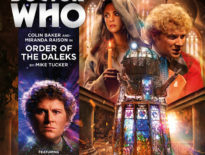 Whilst the description of the story sounds intriguing with a slice of Game of Thrones fantasy poured into the usual sci-fi blender that cultivates the varied storytelling styles of Doctor Who, the unfolding development rather leaves something to be desired. The setup is strong enough, but the ensuing events as well as the resulting end feel rushed, even for a story that’s only got a one episode run time. Indeed, there’s one point towards the end between the Doctor’s light bulb moment of ‘I should have realised!’ and the ensuing play out of events that happens so fast the listener will have to go back a few times to work out what’s happened. 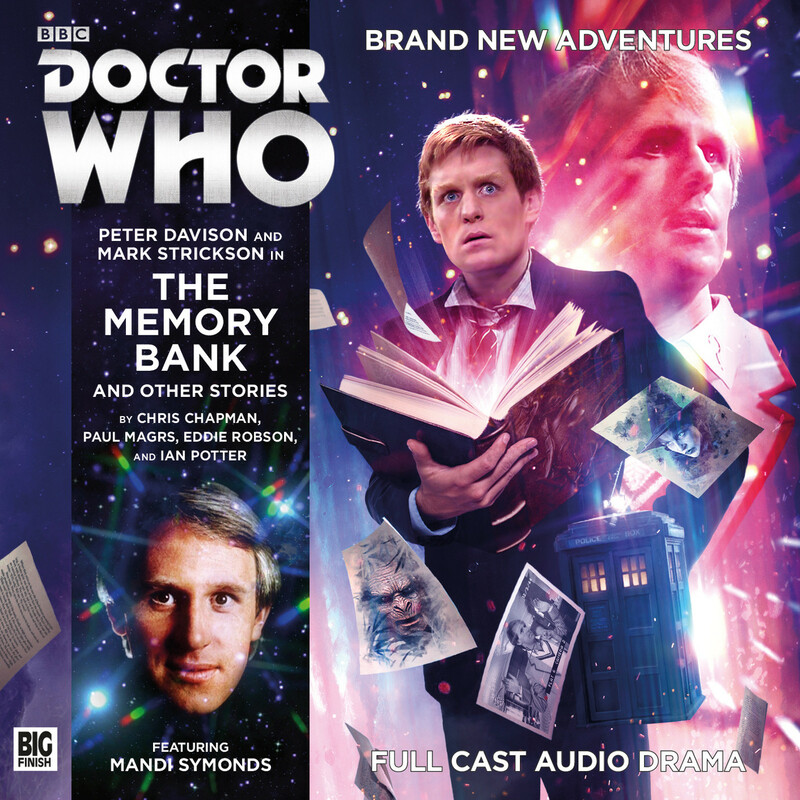 However, The Memory Bank and Other Stories is all about fast adventures with one of our younger Doctors and his younger companion so when all is said and done, it serves well to satisfy those after a quick fix of Doctor Who on their way into work. The Memory Bank and Other Stories is out now, priced £14.99 on CD or £12.99 as a download.